You already know that Safe Gatherings sends out monthly reminders about individuals in your organization that have approvals expiring at the end of the month. But you may not know that as an account administrator, you can run the expiration report for individuals anytime, for any period of time. Just click on the Expiration Report link in the organization’s account and you can search for applicants who are expiring in 45 days, 21 days, or within a certain date range. If the expiration report lists individuals who are no longer serving at your church, contact us and we will update their email information so that they don’t receive renewal reminders. However, they will still appear on your report since they have valid approvals until their noted expiration date. 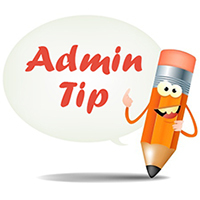 Have admin questions? Call us at 888.241.8258 or email info@safegatherings.com.